Osaka is fast emerging as an attractive real estate investment destination, supported by spillover demand from Tokyo and tourism. Last year, commercial real estate investment in Greater Osaka climbed 35 percent from 2016 to 651 billion yen (US$6 billion) the highest since 2007. Recent deals included PGIM real estate’s purchase of the Toyobo HQ Building for reportedly 20 billion yen and Japan Retail Fund’s acquisition of the Shinsaibashi GROVE for 15 billion yen. Capital values increased 20 percent year-on-year in the last quarter, according to data from JLL. 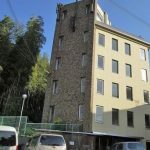 The region’s share of total investment into Japan also climbed – from 13 percent in 2016 to 16 percent in 2017 – for its fourth straight year of gains, according to JLL data. Tokyo’s share, in comparison, steadied between 2016 and 2017 but fell between 2014 and 2015. “Demand for assets in Tokyo has continually been strong, however a lack of sellers and high prices have led investors to shift their focus to regional markets including Osaka,” says Takeshi Akagi, Head of Research at JLL Japan. The annual government land survey results confirmed the market’s strength when they were released in March. According to the report, over 2017, commercial land prices climbed 4.7 percent in Osaka, compared with Tokyo’s 3.7 percent. Robust demand for property in Osaka has been underpinned by a strong leasing market, explains Akagi. “Corporate profits have reached record highs for selected industries, and tenant demand is strong, a situation not dissimilar to Tokyo,” he says. However, a key difference between the capital city and Osaka is that the latter has a limited volume of office supply going forward, he explained. 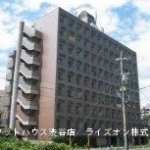 New office supply in Tokyo will total about 1.6 million square meters in the next three years, compared with just 60,000 square meters in Osaka. Rent in Tokyo is likely to peak this year and start to dip next year, according to Akagi. 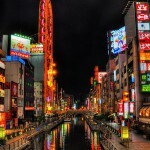 In contrast, Osaka is set to see rents grow for the next two years. JLL estimates that rent in the city will rise 6.4 percent this year and 7.5 percent in 2019. “In Osaka, tenants are finding it difficult to relocate or expand due to a lack of space,” he says. Osaka’s success isn’t limited to the office market. The city’s retail and hotel sectors have also seen a revival as Japan aims to host 40 million foreign tourists in 2020, the year when Tokyo hosts the Summer Olympic Games. The number of foreign tourists to Japan grew 19.3 percent to a record 28.7 million in 2017. With one of the highest hotel occupancy rate across the country, Osaka’s visitors are generating demand for hotels, restaurants and retailers. In fact, Osaka’s prime retail area land price is the second-fastest growing across Japan, lagging behind only Hokkaido, according to Akagi. Separately, the government’s Umekita development project, centred around Osaka rail station, is now in its second phase. The hub, already home to a handful of start-up incubators and business accelerators, is set to host pharmaceutical and biotech firms when it completes around 2024. Other projects for the city currently underway include the redevelopment of Nakanoshima into an art, culture, technology and science zone set to include a museum-complex zone and a global communication zone; and the development of Yumeshima, a 390-hectare man-made island near the Port of Osaka, where the Osaka government is planning to build an integrated resort. Going forward, Akagi expects capital values to rise, reflecting rent growth and further compression of capitalisation rates as investors remain keen on the city. 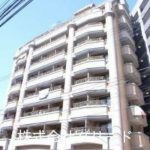 Share the post "Success All-Round for Thriving Osaka Real Estate"
This entry was posted in Japan Real Estate and tagged APAC, Asia Real Estate News, Asia-Pacific Real Estate, Foreign Investors, Global Real Estate, Institutional Investors, International Properties, International Real Estate, Investment Property in Japan, Japan, Japan Business, Japan Economy, Japan Inheritance Tax, Japan Property, Japan Property Market, Japan Real Estate News, Japan Taxes, Japanese Properties, Japanese Property, Overseas Property, Overseas Real Estate Investors, Real Estate in Japan. Bookmark the permalink. Join Our Mailing List and Get Listings, Market News, and a FREE INVESTOR GUIDE E-BOOK! 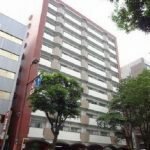 What do Japanese Tenants Want? 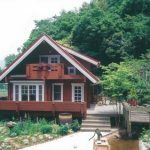 FREE Japan Real Estate Investment Guide! 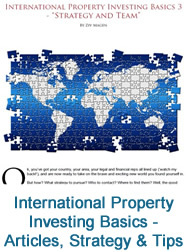 Packed full of essential information (and breath-taking photos), our series of guides is a must for both existing and would-be property investors, and contain all you need to know to profit from Asia-Pacific’s biggest property investment market.